GRAVENHURST, ON – Sawdust City Brewing is still a brewery without a permanent home – although that should be changing later this year – but that hasn’t stopped it from releasing a wide assortment of regular, seasonal and one-off brands to bars and restaurants via contract brewing agreements. And one of those beers has now been pegged for wider release via a general listing at the LCBO. 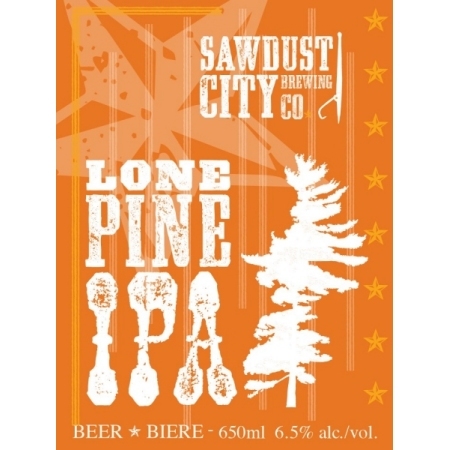 Lone Pine will be available in 650 ml bottles at the LCBO sometime this spring.